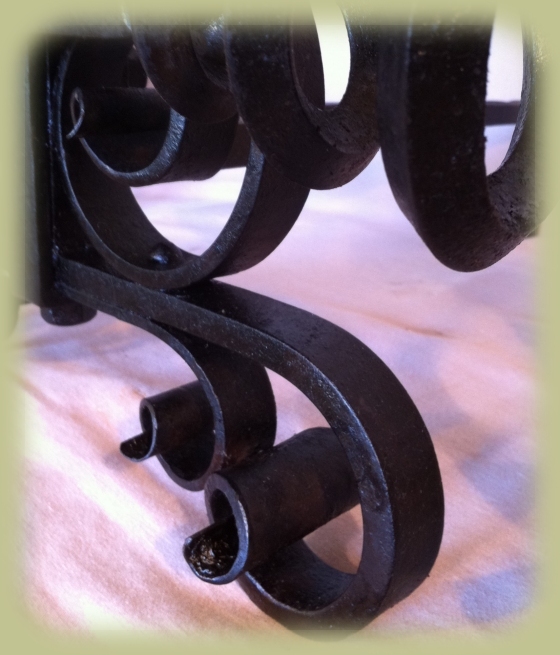 We can restore your antique and heirloom ironwork to like-new condition. 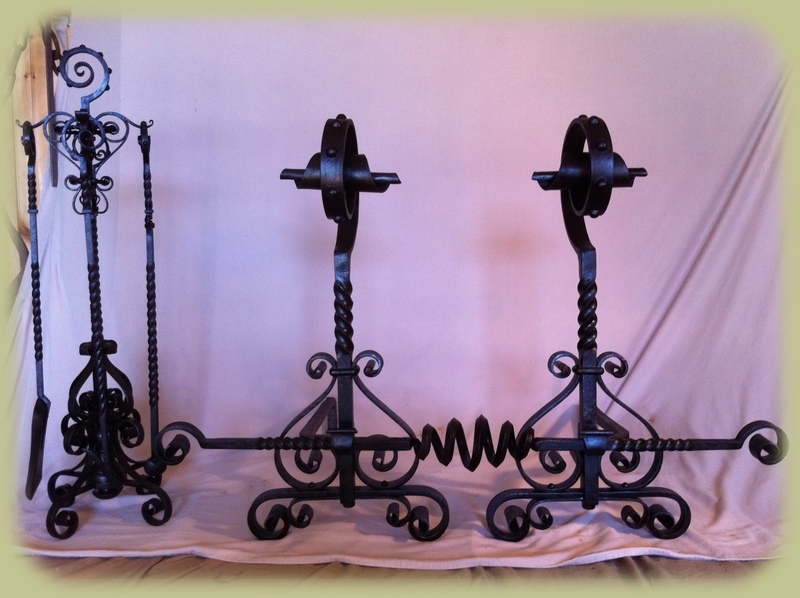 Using a mix of modern and traditional techniques, we can restore the shape and finish of most any iron object. 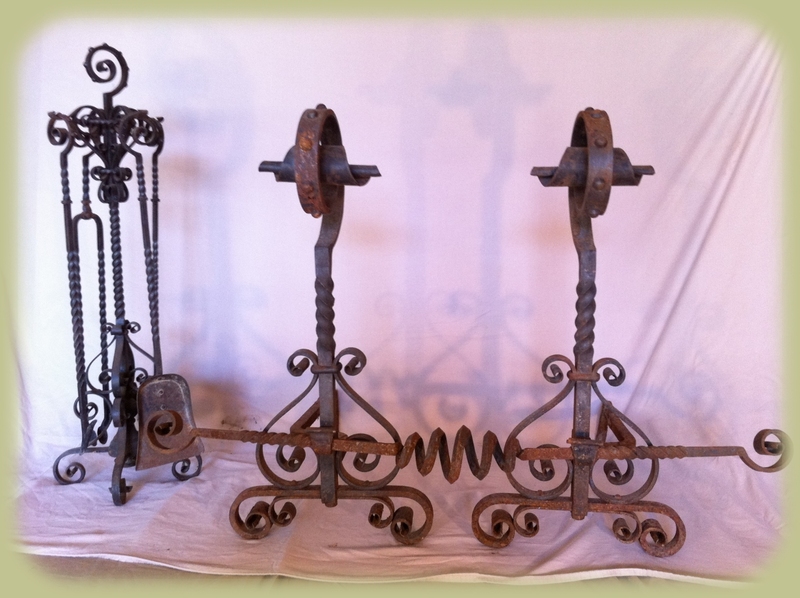 These impressive andirons and fireplace tools were looking their age. With a little work and some heat we made them look young again. 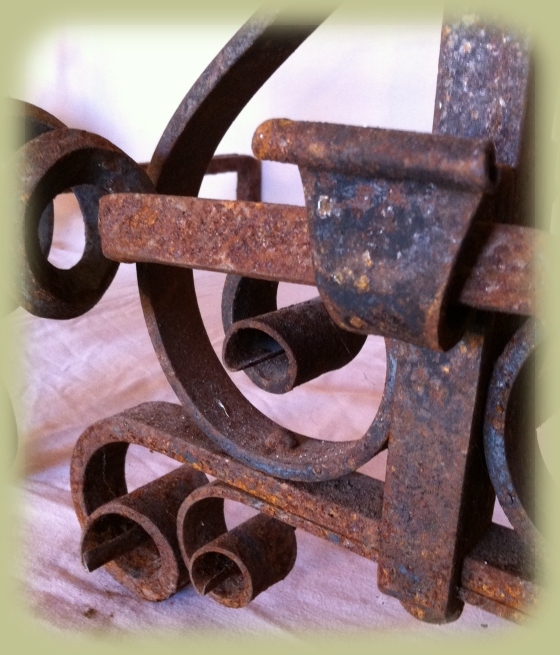 All of the rust was removed and a burnt oil finish was applied. This is a traditional finish that has been used throughout history. A mixture of linseed oil and beeswax is applied when the metal is hot. This process is similar to that used to season cast iron cookware. The wax makes a long lasting, durable finish.